Historically, about 20 percent of annual house sales are direct purchases between the buyer and the owner, though the definition of ‘by owner’ varies. Buying directly from an owner is just as easy as buying a home with an agent advising you. The main difference is that you will have to tackle several key logistical steps on your own, and you will want to work directly with several experts, just as an agent does. Here’s how to have a straightforward, cost-effective transaction with a home seller. 1. Price and place: the two prime factors. How much house you can afford? Where do you want to live? These two factors are in sync: where and what you can buy depends on how much you can spend. A midsized home in a suburb renowned for its schools will likely cost more than a big, newer house on the fringes of the metro area with overcrowded schools. A condo might look like a bargain — until you factor in the monthly homeowners association fees. Commuting costs count. Can you depend on moderately priced public transportation, or must you have a second car? Your existing debt level also dictates your mortgage limit. Student loans, car loans, credit card balances, child support and other non-negotiable financial obligations are factors that determine how much mortgage debt your household can shoulder. Use our Mortgage Calculators to estimate how much mortgage you can take on. Typically, your down payment plus your mortgage equals how much you can spend on a house. Lenders traditionally require a down payment of 10% to 20%. Plug different variables into the mortgage calculators to see how small changes shift the parameters of your mortgage limit and home purchase price. See our Pricing Guide to understand the dynamics of home pricing in today’s market. Use our handy checklist to keep track of the houses you are considering. Track mortgage and financing trends at our Mortgage Center, where content is fresh daily from our partner LendingTree. 2. Get Pre-Approved: Sellers want to know that you are able to buy their home. Getting preapproved for a loan arms you with the single most powerful tool for negotiating with a seller. When a seller knows you can afford her house, she knows that this negotiation is “in good faith,” or, the real deal. Conversely, there is no point in negotiating for a house you can’t afford. Prepare for your conversation with the lender by gathering the calculations you made in Step 1, plus supporting documents. You will need to provide proof of income, show that your savings has been yours for several months (last-minute donations from parents are viewed skeptically by lenders) and show how much you pay monthly on existing loans. It’s also a good idea to check your credit score. The higher the score, the more trustworthy you are deemed by lenders. If you have a midrange or low score, you will pay more for your mortgage — if you can get one at all. The lender will review your calculations and documentation to confirm or adjust the maximum mortgage that you qualify for. 3. Search For Homes: Here’s the fun part! Use the ForSaleByOwner search page to find your ideal home. If you are interested in expanding your search to include some homes for sale that are not for sale by owner, then try searching at our partner sites, HomeFinder.com and ForeClosureTimes.com. You will find ForSaleByOwner homes also at popular real estate websites Realtor.com, Craigslist.com, and Zillow.com. 4. Contact the Owner Directly: Unlike homes represented by an agent, there’s no middleman trying to interpret what’s important to you in a long game of telephone among agents, the seller and you. When you see a listing that intrigues you, email or call the owner to request more information and to set up a showing. Most likely, the owner will give you a guided tour of the house. Use the listing sheet as a starting point for questions. To some degree, the owner is emotionally invested in the house and how it looks — yes, even though the house is for sale. Ask as many questions as you want and focus on gathering facts. Don’t be distracted by decorating and other superficial, easily changed factors. Look beyond them to deduce if the house fits your criteria for price, place, style and function. 5. Get a Valuation Report of the Home: Either before or after you see the home, get a valuation or property report to see how the home’s asking price compares to other recently sold homes in the neighborhood. A computer-generated valuation report is similar to a real estate agent’s comparative market analysis (CMA). It will compare the home you’re considering to up to 20 nearby recent home sales. Remember that such property reports and CMAs do not factor in any recent renovations — such as kitchen or bathroom remodeling — so the estimated value will be affected accordingly. As well, the CMA may or may not factor in foreclosures and distressed sales, which can artificially depress the average selling price in the vicinity. These are factors that the appraiser considers when he visits the house as required by the lender (as outlined in Step 8). The CMA gives you a snapshot of the likely value of the house. The appraiser will weigh all the factors in his customized appraisal. 6. Hire an Attorney: For a few hundred dollars, a real estate attorney will provide you with all the advice and counsel you’ll need to go from offer to closing. Use a local attorney who is knowledgeable about your town’s real estate-related ordinances as well as your state’s disclosure and tax laws. You’ll also rely on your lawyer to coach you through the offer negotiations. Use our Find a Pro page to find an attorney near you. 7. Make an Offer: Once you have seen the home firsthand and have a property valuation report, and have lined up an attorney, you are ready to present the seller with an offer. Your attorney should have the necessary offer forms and you can also visit our Real Estate Forms section for all the state-specific paperwork you’ll need. Technicalities are easily handled. The real tension is making an offer that leaves room for negotiation but that is not so low that it is offensive. Structure your offer based on the market research you have completed and your direct observations of the condition and amenities of the house. Some amenities that the seller believes add value might not be worth much, if anything, to you. Swimming pools, hot tubs and fancy outdoor kitchens often fall in this category. If you believe that such amenities do not add value to the property, deduct their perceived value from your offer accordingly. Be sure to focus on function and structure, not on easily changed, subjective factors. For instance, it is reasonable to deduct $2,000 for the estimated cost of replacing an ancient refrigerator, because every house should come with a functioning refrigerator. But it is less reasonable to deduct $2,000 for the cost of replacing neutral-colored curtains with curtains you prefer, because that is a matter of taste, not function. Outline your objective reasoning as an addendum to your offer. This helps the buyer understand your logic. You might find yourself close to ‘yes’ right from the start. Continue negotiating until you have agreement with the seller on the terms: the price, when the transaction will close, and any seller concessions, such as paying part of the closing cost or including personal property such as patio furniture. 8. Lock in Your Mortgage Rate: Once you have an agreement, the house is “under contract.” Now you must kick into high gear to get several critical tasks done simultaneously. First, bring your offer to your lender for a firm commitment for the mortgage. Even if you are prequalified, shop around one last time for the best terms and lowest mortgage rate. LendingTree has a great mortgage comparison tool that will give you current rates at major lending institutions. You should also visit local banks and contact mortgage brokers to price compare. Once you’ve settled on a lender and a mortgage, the mortgage is “locked in” for 30 to 60 days — ostensibly enough time to complete the rest of the paperwork and close the sale. 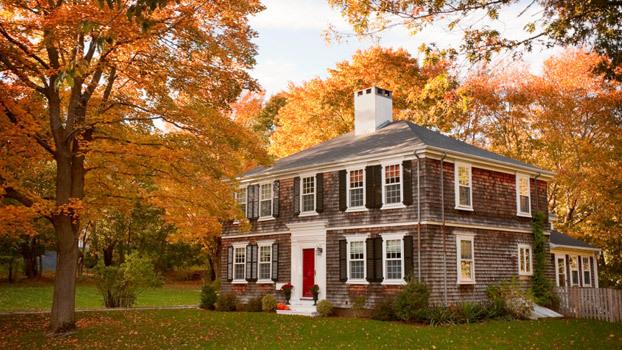 Your lender will assign an appraiser to examine the terms of the sale and the property itself. If your accepted offer is significantly above the recent sale prices of comparable properties in your new neighborhood, the appraiser may object. That puts the deal in jeopardy because the lender will not make a loan for a house that is being sold for more than the market value indicated by the appraiser. You might have to bring the appraiser’s report back to the seller and renegotiate the deal. 9. Get the Home Inspected: The next step is hiring a reliable, licensed home inspector who will go through the home – from foundation to attic – to see what condition the home is in. A home inspector will cost $300-$600 and the inspection will take around two hours. You’ll get an inspection report outlining any mechanical or structural problems that the home might have. The inspector may or may not confirm that the house is in compliance with local building codes. If there have been recent improvements, you may want to ask the inspector to validate that the improvements were made legally and comply with the building code. If the improvements are not up to code, and you buy the house, the cost of bringing the house into code compliance is on you. Again, visit our Find a Pro page to find an inspector near you. Depending on the results on the inspection report, you might want to re-negotiate the purchase price. For example, the inspector might tell you that the roof needs to be replaced. Negotiate with the seller to lower the price to compensate for that expense. Another option is for the seller to give you an allowance at closing for repairs and replacements. 10. Close the Deal: Your real estate attorney will handle most of the details at closing and, depending on your state and local area, will advise you on any special paperwork that needs to be completed between you and the seller. Your attorney and your mortgage lender will also assist you with coordinating the financing and providing payment to the seller. On closing day, the seller will sign over the deed of the home. You will complete all the mortgage paperwork. The last step: you get the keys!